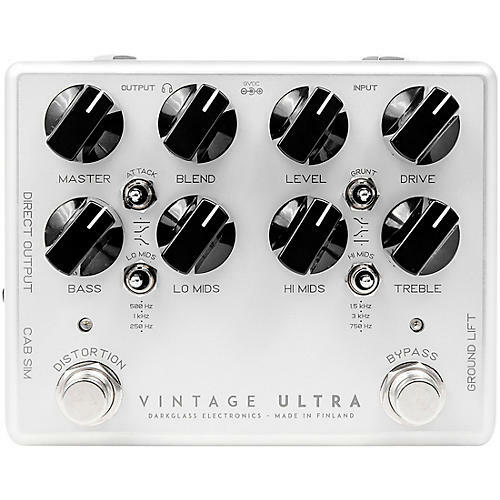 The upgraded Darkglass Vintage Ultra v2 features all the versatility and sonic possibilities of the first version plus: (1) Single user loadable cabinet simulation impulse response. (2) Micro-USB B port to connect to PC/Mac to load a different Virtual Cabinet through the Darkglass Suite. (3) 3.5mm headphone output with cabinet simulation. (4) Balanced XLR output with switchable cabinet simulation.